NEW YORK -- Fewer Americans will travel during the Thanksgiving holiday weekend as economic uncertainty in a sluggish recovery curbs travel plans, travel group AAA said Wednesday. AAA expects 38.9 million Americans to drive 50 miles or more from their homes for the holiday period, which is from Wednesday, Nov. 27, to Sunday, Dec. 1, a decline of 1.6 percent from the 2012 holiday period and would come despite falling fuel prices, AAA noted. About 3.14 million will fly to their destinations, a 3.7 percent drop from 2012, according to AAA. 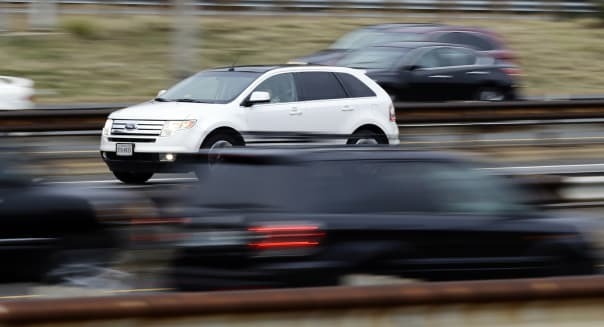 Approximately 1.4 million will use other modes of transportation, %VIRTUAL-article-sponsoredlinks%including rail, bus or cruise ship, putting the total number of expected Thanksgiving travelers at 43.4 million, down 1.5 percent from 2012, AAA said. "While the economy continues to improve, the sluggish pace of the recovery is creating uncertainty in the minds of some consumers, and therefore AAA is projecting a slight decline in the number of Thanksgiving travelers this year," Marshall Doney, AAA chief operating officer, said in a release. The slip in expected travel by automobile comes even with gasoline prices "at their lowest levels for the holiday since 2010," Doney noted. The U.S. average retail price for regular gasoline stood at $3.209 a gallon Tuesday, according to AAA, down from $3.416 a gallon a year ago. AAA said it expects drivers in the majority of states to be able to find fuel stations selling gasoline for less than $3 a gallon.